Some of you may already have seen pictures of it on Instagram or Facebook but now here it is in HQ shots: my new favourite nail polish "No Place like Chrome" (I love this name!). It's from the Essie mirror metallics collection which means that it wasn't really cheap but I must say it was worth the money. 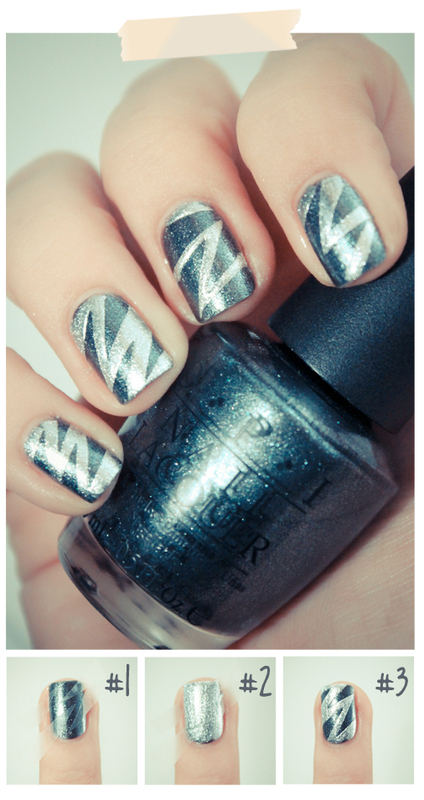 Do you have a silver nail polish and if yes, how do you usually combine it? That color looks really good and I just love your bracelet. Love the silver nail polish!!! I love the zig zags in picture #1. I thought I was buying silver glittery polish the other day but when I put it on, it was gold. So weird! I really love your header!!!! that's a great nail polish color! That chrome color is just STUNNING!!! It's perfect with all the metallics I'm wearing right now! Great tutorial love the nails!